Great for going out or just hanging out this Originals watch by Swatch is the perfect complement to your wardrobe. The silver dial really pops and is shelled by a strong plastic crystal and sturdy 34MM plastic case. 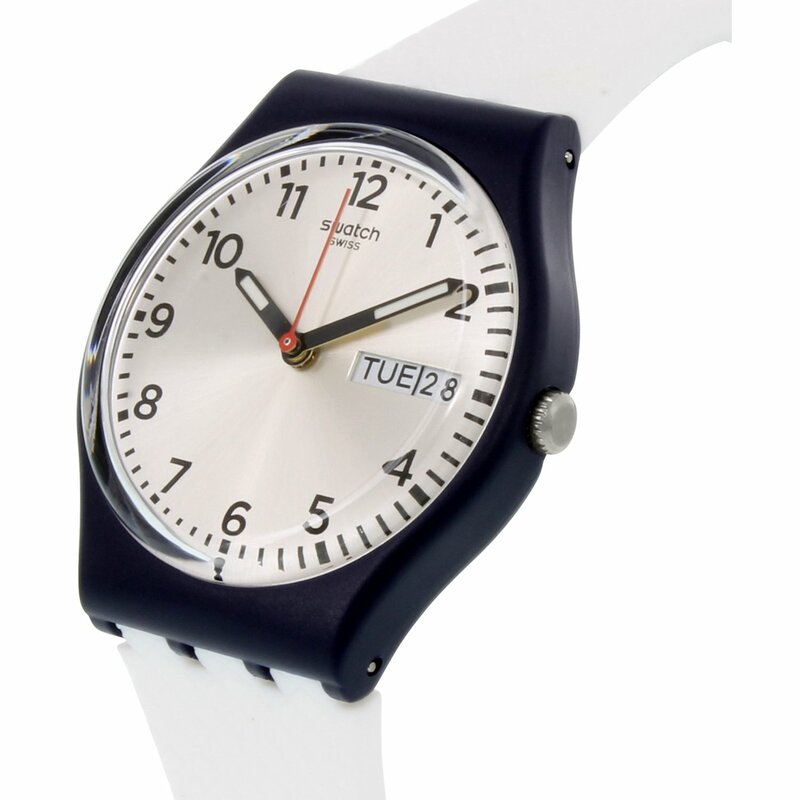 The white silicone band will stay fastened without irritating your wrist making this watch perfect for everyday wear.